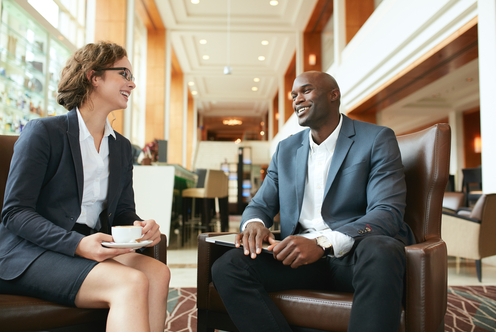 No matter what industry you work in, developing strong, lasting connections with your clients and customers is vital to a successful business. When you’re just getting started, retaining your first few clients is even more important to establish a base. Word of mouth is one of the most beneficial forms of advertising, and making your existing customers happy often leads to excellent reviews, which in turn begets more customers. It’s much cheaper for a business to retain customers than bring on new ones. The Harvard Business Review actually estimates that it is five to 25 times more expensive to bring on new customers than to retain your current business. Without lasting relationships, you’ll be constantly seeking out new leads which can be costly. Oftentimes, businesses place more importance on customer acquisition than retention, but this is not best practice when it comes to building a durable business model. The Harvard Business Review also found that when customer retention was increased by five percent, businesses experienced a boost in revenue by anywhere from 25 to 95 percent. 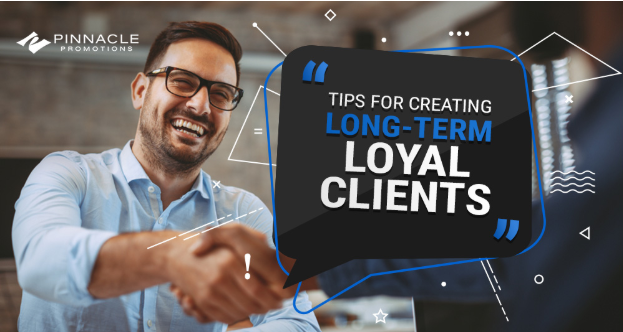 To help retain clients, you'll need to develop a clear strategy for communication and interaction with them to increase your chance that they will want to maintain a professional relationship with your company. Customer churn is a term used to describe the rate at which customers do business with a company and then never return. Successful businesses pay close attention to their customer churn rates and attempt to keep them as low as possible. You have likely spent a lot of time guiding a potential client through the sales funnel before landing them as a customer. The time, effort and resources put into this process are wasted when that customer decides to cease your business relationship, and your sales team will have to restart this entire process with another client to regain that business. Instead, take these steps to avoid losing customers and start building a stronger business model. Put yourself in your customers’ shoes. Imagine how you would want to be treated and what kind of service you would expect to receive if you were doing business with your company. No matter the industry, every client wants a friendly, knowledgeable and quick experience. You should design your company around making the customer experience as simple and rewarding as possible. This extends to your web design too. Your site should be informative and easy to navigate—make it simple for people to contact you and be clear about your company’s purpose and vision. In any type of relationship, communication is key. When it comes to business, you want to clearly communicate with your clients in whatever form your business might require. For retail companies, this might mean accurately displaying item prices, shipping costs and return policies to ensure there is no misunderstanding between the merchant and consumer. In a marketing agency, you should have a team of people dedicated to maintaining client relationships. Sending out monthly reports and providing customers with regular updates is another recommended method for good communication. You should also be clear on when your company is available to help clients. If your business hours are Monday through Friday from 9am to 5pm, inform your customers that you can only be reached during these hours and try to be available as much as possible during that time. Of course, you can’t be sitting by the phone or computer waiting for a client to contact you. If they reach out while you’re busy, make it a priority to get back in touch with them as soon as possible. When you first begin a business relationship with a new client, provide them with clear guidelines on what to expect from your company. If you tell them that they’ll be receiving a report each month on the 5th, you need to consistently meet that deadline. Of course, sometimes issues arise that may cause delays. If this happens, use your open communication policy to explain to your client what is going on and accurately inform them of when they can expect what they need. If your clients know what to expect from you, they are much less likely to get frustrated or upset. Keep them in the loop about all deadlines, meetings and other vital information. If you run a retail business, setting expectations for customers can look a bit different. In this case, you can satisfy consumers by providing them with accurate pricing and shipping time estimates. When you think of your clients as equal partners, it’s much easier to give them the high-quality service they expect and deserve. Partnerships are all about give and take. If you’re thinking of your client relations as one-sided, then you’re likely not providing the best service possible. Consider what your customers need and require from your business. Then contemplate what it is you need from them. Business? Publicity? Good feedback? Keep this idea of partnership in mind during all interactions with customers and you’ll foster much stronger connections while also meeting your company’s goals. Everyone loves free swag. It’s an attention-grabbing type of marketing that people can actually use. Design your company’s logo and select matching colors to display on a variety of promotional products. Custom water bottles are always an excellent choice because they provide plenty of space for creative designs, can be stored easily and make for a useful item your customers will love. Each time you sign a new client, create a welcome bag or basket filled with promotional materials like custom water bottles. Much like the idea of creating a personal connection with your clients, creating a brand that people identify with is essential when working on customer retention. No matter what type of business your company does, you need to show people how your brand connects with them and why they should choose you over the competition. The best way to elicit an emotional response from potential customers and clients is by creating a strong brand. A company’s brand is its personality—it adds depth and encompasses the business's overall purpose. Developing a strong brand gives your target market something to identify you by and, oftentimes, this greater sense of what a company represents is what attracts new business. Your brand should be more than simply a logo and a mission statement. Brands encompass a lifestyle. To create a connection with clients, try to expand your brand influence and help them to realize that you are the right company for them. Attracting clients through branding and promotional materials can help establish your customer base, but you need to continually meet your clients’ expectations if you want to create lasting relationships. Position yourself as an expert in your industry so that clients come to you for advice rather than searching the web. Even if your client asks a question you don’t know the answer to, use all your available resources to find the best answer for them and provide as much information as possible. The more helpful you are to customers, the more value they will see in your partnership–and they’ll want to continue maintaining a strong professional relationship. Your employees are a direct extension of you and your business. They should be prepared to take the same steps that you or your CEO would to benefit the company. All employees, even those who do not directly interact with clients or customers, should be thinking of your customers. How can each member of the team do their job better in order to foster good client connections? During training, make it a point to explain to new team members why customer retention is important and set goals for how everyone can help maintain these numbers. Show your customers how important they are to your business. Rewards can come in many different ways. Offering discounts and promotions to retail clients is always a great strategy for customer retention. Promotional materials like custom water bottles are another common way to satisfy clients and show them how much the company cares about their business relationship. If your business offers a service to clients, you can consider offering additional free perks after they’ve maintained a connection with you for a certain period of time. Loyalty rewards are yet another method for making clients feel special and important while also demonstrating that your brand is more than just a business. Customer service is the key to strong relationships. To create an excellent customer service experience, you should rope your team in on marketing strategy meetings and memos to ensure that everyone in the company understands the business’s goals. 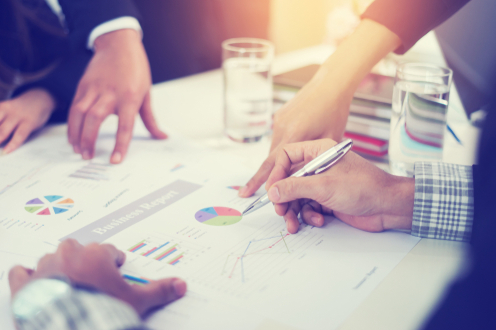 If your support team is knowledgeable about other aspects of the business, they can more accurately address concerns and resolve customer issues. When a client contacts customer service, they should receive friendly and helpful support without becoming frustrated. Long wait times and outsourced customer support can hinder client relationships and make your customers feel unappreciated. Be sure that your team is large enough to handle inquiries without leaving clients waiting for long. Because promotional materials are so versatile and can be used to show customers how much your business cares, it’s vital that you order quality products that will last. Our promotional product experts at Pinnacle Promotions understand how important your clients are to your business and want to be an extension of your brand. We’ll work together with you to create an attractive promotional item that reflects the goals of your business. With a nearly endless collection of great promotional materials, our company has the perfect item for every business. Looking for something specific? Search the site by product, industry and brand to locate your next promo product. If you need your items quickly, you can even take advantage of our rush orders on specific products, which can be prepared and ready to ship in 24 hours. If you have additional questions on pricing, imprinting or anything else, feel free to contact us by phone at 800-351-4226 or through our site’s contact us form.